With so many important decisions your Medicare-eligible and retiring employees have to make, you can help by offering them one more valuable company benefit: a smooth transition from your employer-sponsored health insurance plan into individual Medicare coverage. SeniorQuote can customize a program for you that your benefits administer will appreciate: Personalized care, with minimal involvement. SeniorQuote Employer Services has been serving Medicare customers for over 10 years and will provide you with a dedicated account team that includes licensed benefit professionals. Our turnkey program reduces both the financial burden and the operational challenges of managing senior health insurance plans. And because we work with more than 30 carriers, we can offer seniors coverage that includes individual choice, covers their needs – and may well save them up to $1,000 annually. We can also offer Health Reimbursement Account (HRA) provider options that could save you and your employees even more money. Senior employees save when you reimburse them for qualified out-of-pocket medical expenses. And your company can take advantage of tax-deductible reimbursed claims. It’s a win-win for everyone! Trust SeniorQuote to take care of your valued employees and rest assured we have their well-being in mind. Company Founder and CEO, Bill Haynor is a senior himself and a passionate advocate for this growing demographic. As a result of his own first-hand experience, he deeply understands the importance of having adequate health insurance coverage at this stage of life. Watch his story here. SeniorQuote is uniquely qualified to answer health insurance questions specific to this generation that your benefits administrators are probably not as well-versed in. 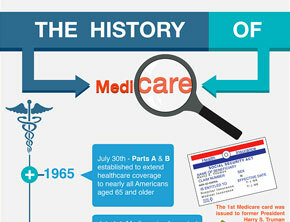 We can educate you and your employees on seniors’ Medicare options and help make the transition easier for both of you. Call SeniorQuote today for more information about Senior Employee Benefits Programs and to get your free Understanding Medicare kit. Prepared especially for Medicare-eligible and retiring employees, it answers the most common questions about their options, eligibility, requirements and importantly, the timeline for signing up for Medicare. It contains all the information needed to help them make a smooth, hassle-free transition. Call SeniorQuote today and let us tailor a solution for you.